DXN Ganozhi™ Shampoo with pH balance is suitable for all hair types. Enriched with Ganoderma extract and vitamin B5, DXN Ganozhi™ Shampoo is mild that can make your hair healthier, softer and shinier. - No harmful chemicals – Prolonged usage is safe and helpful. 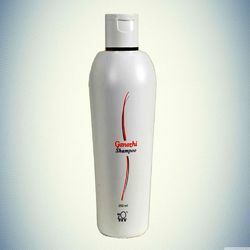 DXN Ganozhi Shampoo is a mild and gentle formulation with a perfect pH Balance. Ideally suited for all hair types. It is enriched with Ganoderma Extract and Vitamin B5. DXN Ganozhi Shampoo makes your hair manageble, silky, soft, smooth, healthy, fragrant and shining all day . A special invigorating shampoo that contains Ganoderma extract and vitamin B5 that will refresh your hair and leave it glossy soft. DXN Ganozhi™ Shampoo with pH balance is suitable for all hair types. - Suitable for all types of hair – Suitable even for dry & scratchy scalp. - Prevents infection of the Hair-roots. Nourishes the hair and hair roots. It is a mild and gentle formulation with a perfect pH balance. Ideally suited for all types of hair. It is enriched with Ganoderma extract and Vitamin B5. 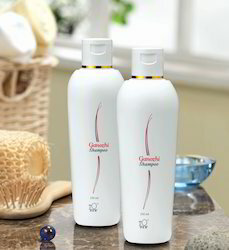 DXN Ganozhi Shampoo makes your hair manageable, silky, soft, smooth, healthy, fragrant and shining all day. DXN Ganozhi Shampoo is a mild and gentle formulation with a perfect pH Balance. Ideally suited for all hair types. It is enriched with Ganoderma Extract and Vitamin B5. DXN Ganozhi Shampoo makes your hair manageble, silky, soft, smooth, healthy, fragrant and shining all day. DXN Ganozhi Shampoo with pH balance is suitable for all hair types. Enriched with Ganoderma extract and vitamin B5, DXN Ganozhi Shampoo is mild that can make your hair healthier, softer and shinier. Make your hair silky , soft & smooth. s. It is enriched with Ganoderma Extract and Vitamin B5. DXN Ganozhi Shampoo makes your hair manageble, silky, soft, smooth, healthy, fragrant and shining all day .